Located in the picturesque village of St. Bernard, this one storey home one sits on a 5.5 acre lot and is set well back from the main road. This home includes a kitchen with separate dining room, living room, three bedrooms and full bath. In the rear of the home is a sun room where you can sit and relax while overlooking the back yard. The property has a good portion of cleared land which would be great for horses or anyone looking to plant a garden. Shared well. 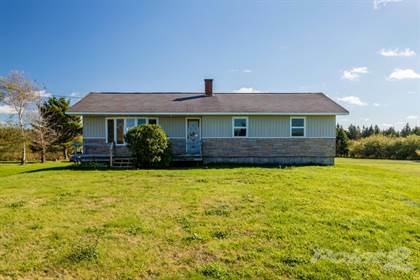 Hi, I'd like to find out more information about 3685 Highway 1. Thanks so much!